Yes, there is a difference between social media and social networking. Both are very effective uses when pursuing internet marketing. Unless you have been living under rock, you’ve certainly heard of social media. While social media sites first originated for personal use and allowed you to connect with family, friends and acquaintances, marketing companies soon saw value in the use these websites to promote their businesses product or service. You have seen popular sites such as Facebook, Pinterest & more react to this demand by separating personal and professional profiles. With the popularity of social media, using it for business has become more complicated and confusing. We’ll start with basics of the difference between social media and social networking for business. Social Media is an avenue that allows you to broadcast your message to an audience. Keep in mind that social media encompasses a multitude of tactics that include: video, photographs, graphics, blogging, PR and more. Utilizing each of these effectively allow you to transmit your message through social media websites and email marketing. While there are a handful of very popular websites that allow you to send your message to a very broad audience, there are also thousands of social media websites that allow you to broadcast a message to a targeted audience that ideally fits your target demographics. 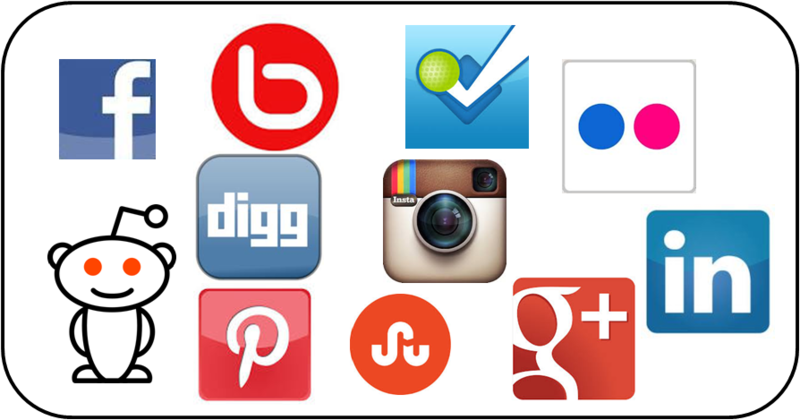 There are in fact many vertical specific social media websites you can utilize. Social Networking is how you use Social Media. Social Networking is the process of opening up lines of communication with customers or potential customers. This may be two way communication between you and another person or a group of people. Social networking gives you the avenue to build continuous relationships that allows you to build trust and loyalty that can be very difficult to create online. Connecting with your peers or customers may come in a variety of methods, a few examples may include, connecting via Linkedin, befriending on Facebook, groups created on social sites such as Facebook, Yahoo, Linkedin. Essentially, Social Media allows you to broadcast your message as broad or specific you wish to be. Social Networking is the process of opening a dialogue and build relationships. Social Networking is how you utilize Social Media. We look at social media as a whole and in order to be effective in social media marketing, you need to be efficient in both aspects. Think of social media as the new word of mouth. If you have compelling and engage information, you will open up those lines of communication with those customers you are trying to connect with.